So many of us are accustomed to using Google for everything that we actually forget there are other search engines out there. For instance, today I was trying to access Google.com to look up some infographics for a post, but I could not get their site to load for me. Instead I went over to Bing.com and did an image search for what I was looking for and I was quite please with the setup they have on their site. Let’s take a look at a quick comparison between the two and what I like/dislike about each. I’m sure most of us have already used Google Image Search at some point, so I won’t go into it that much. A decent amount of searching options such as size, colors, type and enabling safe search. 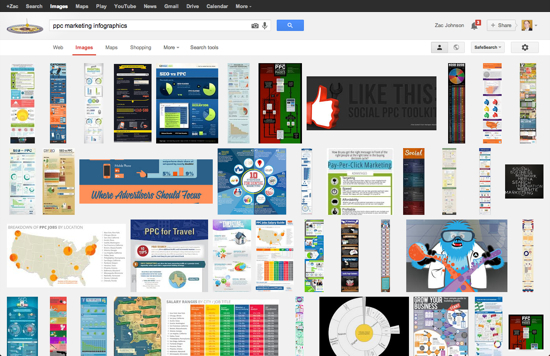 Google Images will always be useful but in comparison to Bing Images I would say Bing is ahead of the game. 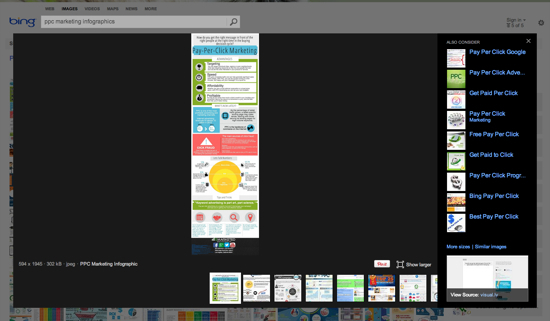 From my personal experience I noticed that Bing Image Ads appears to run much faster and there is less lag when looking through and loading images. I also like how Bing has various recommended search features along the top and right side of the page to improve results. Another cool feature about Bing is the ability to sort images based on their “license”. This is key as many people will search for images and use them on their sites, when they might not be licensed for public or free use. Once you find an image you like you can click on it and it will load within the same window. If you click it again it will load the full size image in a new browser tab. 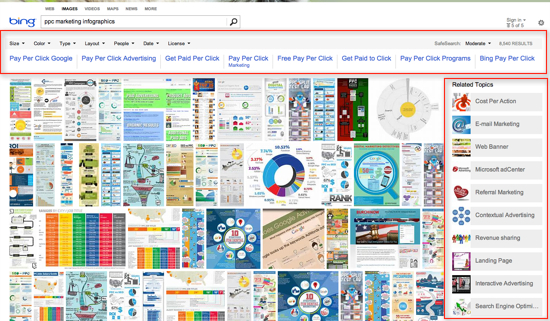 Again… from my experience Bing is much faster and user friendly than Google Images in this area. One more cool feature of Bing Image Search is that when you access their main page they have a chart of what’s currently being searched by the majority of people pulling image searches from their site. The next time you are looking around for images, be sure to consider http://www.bing.com/images.